Vocational fleets in the not-too-distant future could have an innovative option to help reduce gas burned and time wasted waiting at red lights and searching for parking in urban areas. Here’s how: Ford Motor has created a prototype electric bike that folds into the back of a Transit Connect van for use by couriers, electricians, and delivery services. So, instead of driving a Transit Connect van through crowded city streets, fleet drivers could park it and ride the e-bike to their destinations, helping save time and money. Alternatively, a driver/rider team could work together, with the driver dropping off one or more riders at a hub to make their deliveries via bike and then meeting up with them at the next stop, eliminating the need to search for parking. 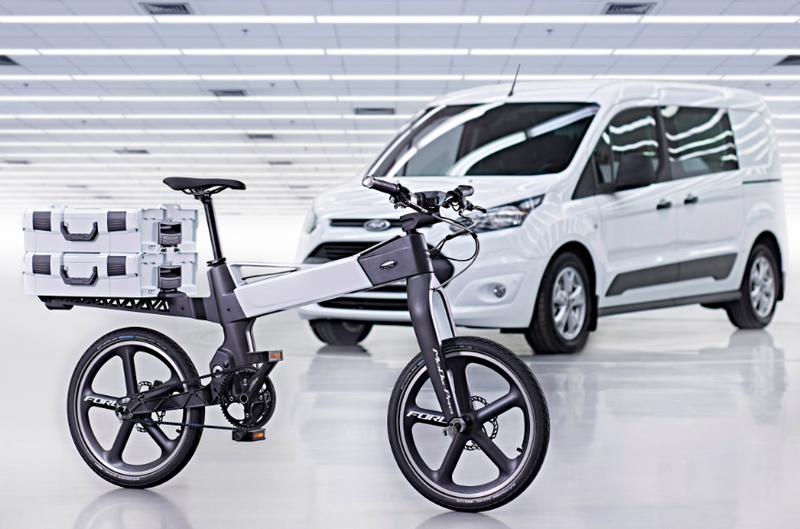 Up to three Ford e-bikes can be stored in a Transit Connect. The MoDe:Pro e-bike is helping Ford study how electric bicycles can work seamlessly with cars and public transport to help commuters and fleets operating in urban centers. The e-bike is among 25 experiments Ford launched as part of Ford Smart Mobility, the company’s global plan to help change the way the world moves through innovation in connectivity, mobility, autonomous vehicles, customer experience and big data. The prototype MoDe:Pro e-bike is equipped with a 200-watt motor with 9-amp-hour battery that provides electric pedal assist for speeds of up to 25 km/h (or approximately 15.5 mph); the e-bike charges when docked in the vehicle, making it always ready for action.